Unexpected and sad new from Cologne this morning. Cardinal Joachim Meisner, archbishop of that see from 1988 to 2014, passed away this morning while on holiday in Bad Füssing, near Passau. The Pretiosa bell of Cologne cathedral just completed 15 minutes of tolling to mark the death of the cardinal, who passed away peacefully, according to a spokesman. He was 83 years old. Cardinal Meisner recently visited the Netherlands on the occasion of the 60th anniversary of the ordination of Cardinal Simonis, and he was of course on the eye of the media as one of the authors of the dubia regarding the interpretation of Amoris laetitia. The late cardinal will remembered during today’s midday prayers at Cologne’s cathedral, and at the evening Mass offered by Cardinal Woelki, Cardinal Meisner’s successor as archbishop. This will be streamed live via Domradio.de at 18:30 local time. The archdiocese has opened a condolence book on their website here. Cardinal Woelki learned of the death of his predecessor this morning. The Archdiocese of Cologne has announced the program leading towards Cardinal Meisner’s funeral. From Friday 7 until the early morning of Saturday 15 July, the cardinal will lie in a closed coffin in the church of St. Gereon, at a fifteen-minute walk from the cathedral. The church will be open for the faithful until Monday the 10th. Cardinal Woelki will receive the deceased at Vespers on the Friday, and the liturgy of the hours will be prayed on each of those days. The church will open again on Friday, when a Vespers for the dead will be prayed. On Saturday the 15th, Cardinal Meisner will be carried in procession to the cathedral, where his funeral will take place at 10am. The cardinal will be buried in the crypt. One of the last people to speak with Cardinal Meisner was Cardinal Gerhard Müller, who spoke with him over the phone on Tuesday evening: “He told me that he felt healthy, but that he was very concerned about the situation in the Catholic Church,” undoubtedly referring to the dubia, but also to Cardinal Müller’s retirement, which “upset” Cardinal Meisner. At the age of 102 Father Hermann Scheipers passed away last night. He was the last surviving priest of Dachau concentration camp. Fr. Hermann Scheipers in 2011, photographed in Dresden on the occasion of the beatification of Alojs Andritzki, who was killed in Dachau in 1943. Fr. Scheipers and Blessed Alojs were both in the camp’s sickbay with typhoid fever for some time. As prisoner ‘number 24255’ Hermann Scheipers survived hell in Dachau concentration camp. Nevertheless, the priest and enemy of the Nazis survived, to die now at the age of 102. Hermann Scheipers had a mission. He had to tell young people of that time: how he, as a young priest in 1940, was arrested by the Nazis and taken to Dachau concentration camp, how he survived the war and how he was once again oppressed, this time by the communist dictatorship in the German Democratic Republic. How he survived that time, too, he continuously impressed upon his listeners. On Thursday night Scheipers died in Ochtrup, aged 102. He was the last surviving German clergyman to have been imprisoned in Dachau. The priest is – especially denigrating – taken to Dachau together with criminals. During the transport one of them wonders, “Well, did you sing out of tune from the pulpit?” Scheipers survived hell as prisoner ‘number 24255’. “You are without honour, without help and without rights. Here, you can either work or perish,” the camp commander welcomes the new inmates. Like many of the priests in Dachau, Scheipers slaves away as a field worker, receiving mostly watery soup to eat. Persons who aren’t fast enough are whipped, hung by the arms or drenched with icy water. Many die. “The only thing one could do was escape or pray,” Scheipers recalled. In 1942 an attack of weakness brings him close to his own murder. His twin sister Anna travels to Berlin, to the Reich security offices and bluffs to the head of the priest department: Everywhere in Münsterland people are saying that her brother is to be gassed. And if it comes to that, the Catholics there will not accept it… This civil courage has effect: he escapes the gas chamber. Amid all the danger, Scheipers is aware of God’s help, even at that time. “I noticed this closeness frequently.” He can not forget how a fellow priest gave him his ration of bread before he was transported towards his death. “Everytime when I celebrate Mass and break the bread, I think of that.” In April of 1945, Scheipers finally manages to escape from a death march towards Bad Tölz. After the war he returns to his former place of work. 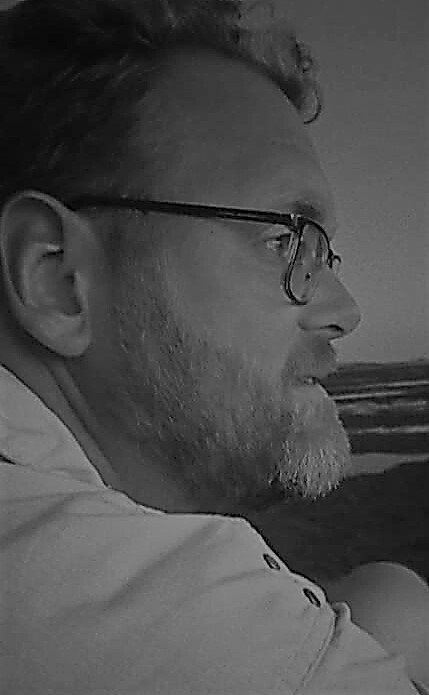 As a priest in the Diocese of Dresden-Meißen he resists those in power in the unjust GDR state. When Scheipers sees his Stasi file after the fall of communism, he has a big scare. 15 Spies were set on his case. The papers show that a trial against him for distributing subversive propaganda was to be convened. “I was in Dachau for the exact same reasons,” Scheipers commented. After his retirement Scheipers lives in Münsterland again, from where he travels again and again, despite the discomforts of age, to speak about his experience as a contemporary witness. Dachau housed virtually all of the clerical prisoners of the Nazi regime: 2,720 clergy were imprisoned there, with the vast majority, 95%, being Catholic. As Fr. Scheipers’ story shows,the Nazis needed little excuse to arrest priests. The Church was a serious opponent to the National Socialist rulers who accepted loyalty to the party and Adolf Hitler alone. 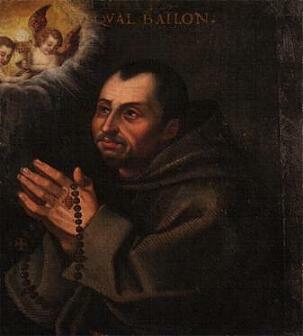 Many of the Catholic clergy prisoners have since been beatified, among them Blesseds Titus Brandsma, Bernhard Lichtenberg, Karl Leisner and the aforementioned Alojs Andritzki. Fr. Hermann Scheipers’ death is a bookend to a formative period in recent history, not only of Europe, but certainly also of the Catholic Church and its relationship to state and government. Big day in Berlin today, as Archbishop Heiner Koch is installed as its third archbishop and tenth bishop overall. The installation, starting at 11 o’clock local time, will be streamed live via www.katholisch.de and www.domradio.de. Opening the ceremony is Bishop Wolfgang Ipolt, bishop of Görlitz, as he is the senior bishop of the province composed of Berlin and its two suffragan dioceses, Görlitz and Dresden-Meißen. With that latter see vacant, he is also the only bishop available to do that job. Bishop Görlitz will lead the archbishop to his cathedra, after which the latter officially take possession of it. 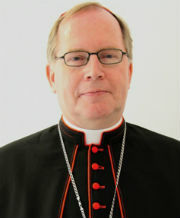 Archbishop Koch will also be receiving his pallium from the Apostolic Nuncio during the installation Mass. It had already been granted and collected by him on 29 June, but as the woollen band denoting his office of metropolitan archbishop is now officially bestowed in the home dioceses, each of these is free to determine when and where it takes place. 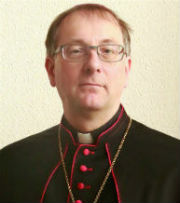 For example, Archbishop Stefan Heße of Hamburg, who was granted the pallium on the same date as Archbishop Koch, will officially be bestowed with it in November. Cardinal Rainer Woelki, Archbishop Koch’s predecessor in Berlin, will give him the bishop’s staff that belonged to Cardinal Alfred Bengsch, bishop of Berlin from 1961 to 1979. The staff symbolises the office of shepherd. No less than 29 bishops will be attending the installation, among them Cardinal Wim Eijk of Utrecht, and bishops from Poland and the Czech Republic, in addition to many German bishops. The ecumenical delegation consists of representatives from the Lutheran church in Germany, the Romanian-Orthodox Church, the Greek-Orthodox Church and the Coptic-Orthodox Church. Many local politicians will also attend, with the president of the Bundestag as the highest-ranking official. In a recent interview, Archbishop Koch spoke about his years in Berlin, to which he is looking forward. But there is already some work cut out for him, as Cardinal Woelki began a number of reforms before being recalled to Cologne. What will be the new archbishop’s focus in those matters? How does he see himself as archbishop of Berlin? Will he be mainly for the city or also for the surrounding area? Cardinal Woelki lived in Wedding, a subburb of Berlin with low income and immigrant families. Where will Archbishop Koch live?